2,000 plus motorists caught speeding at more than 100mph on UK roads! 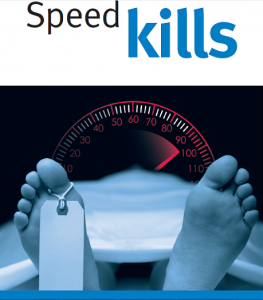 Police caught more than 2,000 motorists in the UK speeding at more than 100mph in the 12-month period ending April 2015. The figures are in response to a Freedom of Information request and come from 42 of the UK’s 45 police forces. The highest speed recorded was 156mph on the A1(M) in Cambridgeshire – more than twice the national limit. The driver, a professional footballer, was fined £1,400 and given a six-month ban after being stopped in his BMW M4 Coupe. The other highest speeds clocked were a Mercedes C200 doing 155mph on the M1 in Hertfordshire, and a Jaguar at 144mph on the M4 in Gloucestershire. Police were asked to supply details for the 2014-15 financial year on the number of offences they recorded where a motorist was found to be exceeding 100mph – either by a speed camera or from an officer’s speed radar. The FOI responses showed at least 2,169 such reports were filed by UK police forces. The Society of Motor Manufacturers and Traders (SMMT) said road safety was the number one priority for the industry. In a statement, it said: “The industry… does not condone excessive speed and complies with strict advertising rules covering speed. Between April and December 2015 76,834 speeding offences were detected in Essex. Over 77% of these offenders were offered speed awareness education.